The original Jurassic Park wasn’t perfect, but it was a product of Stephen Spielberg’s late golden era of blockbuster entertainment, and owed a lot to Jaws in its blend of humour and carefully crafted scares. The two sequels are far more forgettable, despite their best efforts to reproduce the T-Rex and the raptor-based success (I can’t actually remember whether I’ve seen the third film, though I know everything that happens in it), and the franchise deservedly went into abeyance for 14 years. That Jurassic World is more memorable than the sequels standing between it and Jurassic Park is mostly down to Chris Pratt, who has cornered Hollywood’s market in affable, masculine charm. That it fails to get anywhere near to the quality of the first movie is due to a very perfunctory script, and its failure to stick with what made the first film something close to a classic (see also: the Matrix sequels). Jurassic Park worked for many reasons: the spectacle of the dinosaurs and the restraint in keeping the stars among them offscreen as much as possible, the serious question driving the plot balanced with some spectacular action set pieces, a spine-tingling John WIlliams score, and both dinosaur and human characters who were given actual personalities. 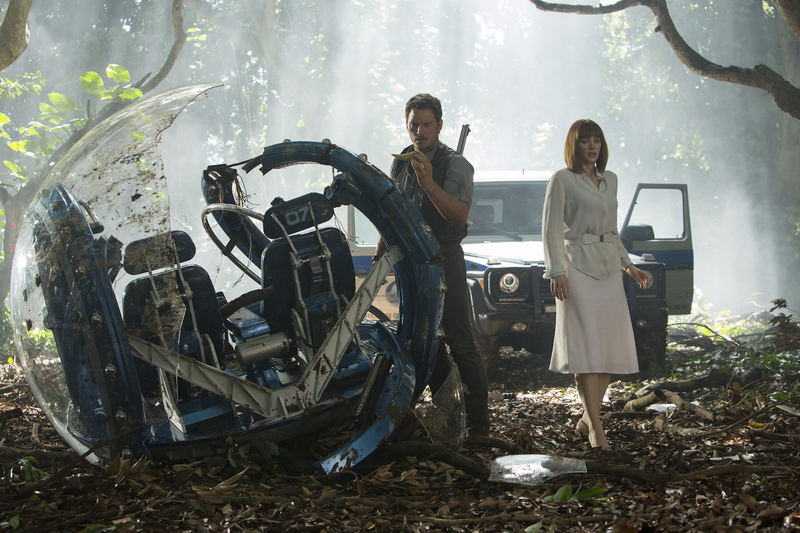 Jurassic World does its best to hit all of these marks, but in so perfunctory a manner that it barely registers. This could be my standard rant about movie writing that doesn’t do any more than think about what the next big spectacle might be. Yet there’s ambition in Jurassic World to do more than that. The first film’s theme of mankind thinking it has nature under control makes a return, only get buried under competing themes of the dangers of genetic manipulation, the hunt for bigger and scarier spectacles and corporate-created ultimate weapons. All of which are in the same ball park, but there’s no effort to make them gel. The one theme that would seem particularly ripe in the age of documentaries like Blackfish – how visitors to theme parks like SeaWorld are complicit in the treatment of the animals therein – is presumably too close to the bone for modern cinema-going audiences. The dinosaurs would need to be given some kind of personality to make it work too. Amid all of this negativity, it can’t be denied that Jurassic World is serving its audience very well. Plenty of action and incident, lots of CGI monsters to ooh and ahh at, recognisable character types to run around and get the audience invested in what’s happening. It’s just that it all feels so very shallow. To the extent that the main female character’s choice to keep wearing her high heels throughout has become the most interesting thing about it. This is a shame in a month when Mad Max: Fury Road proved that you can have action aplenty and a script that has real heft without drowning in verbiage. Jurassic World simply has nothing as seminal as that first appearance of the T-Rex in Jurassic Park, nor the confidence to step back from the need to provide bigger, louder, more. And it’s a problem that it highlights with callbacks to that first movie, culminating in an ending that practically reminds us that this is a sequel that’s smaller on the inside. It’s a comparison that Jurassic World would have been better off not inviting.